German physicist Hans Joachim Schellnhuber with his new book. Click for photo source. Concern over climate change needs to be understood in its historical context. Activists, scientists, and politicians have been delivering ultimatums to the public for decades: stop what you’re doing, follow our advice, or humanity perishes. Can you guess when the following proclamations were made? 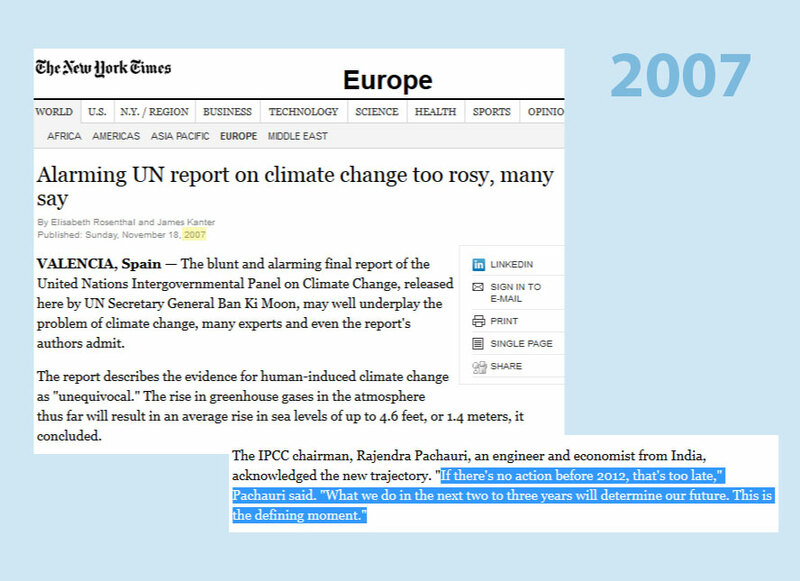 Twenty-six years ago, Al Gore described the 1990s as “a decade of decision.” An “environmental holocaust without precedent” would occur, he said, if we didn’t rapidly reduce humanity’s carbon dioxide emissions. Emissions continued to rise and no such holocaust materialized. 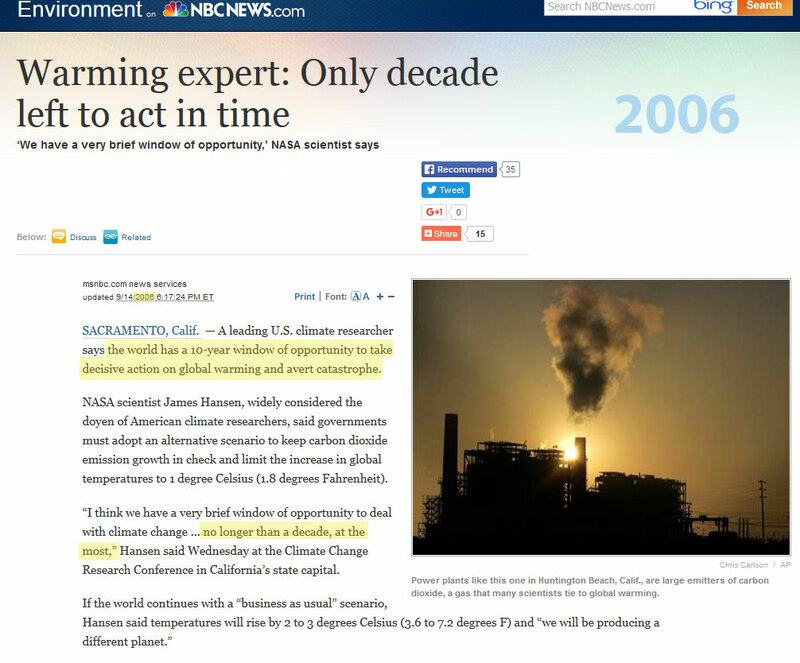 Fast forward 17 years to 2006, and the message from activist scientist James Hansen was pretty much identical. 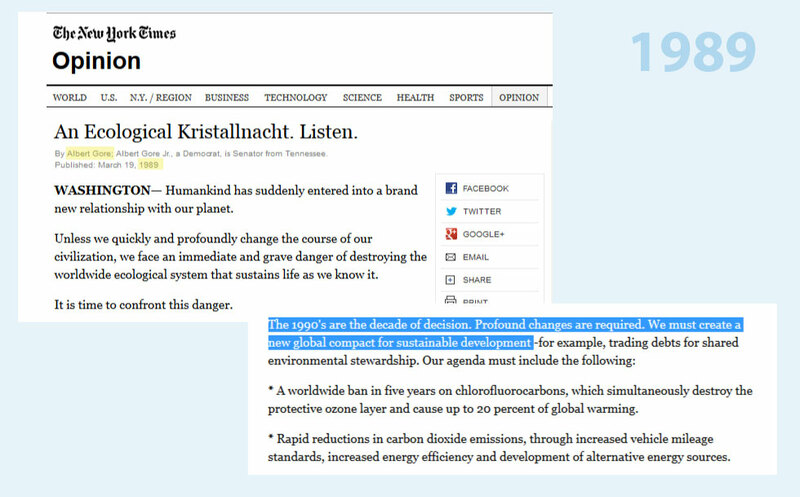 We had, he insisted, a decade “at the most,” to “avert catastrophe” by decreasing emissions. 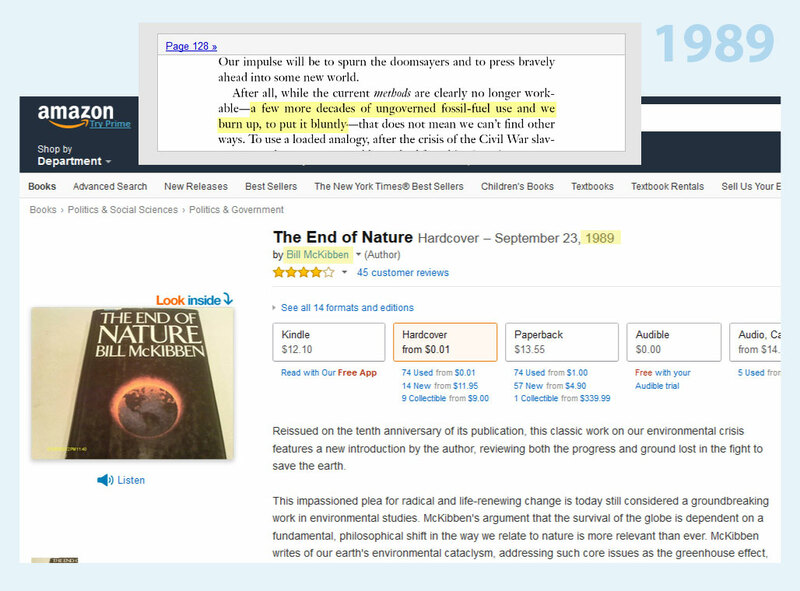 In 1989, environmental hysteric Bill McKibben said humanity was in danger of burning up in “a few more decades” if we didn’t overcome our “addiction” to fossil fuels. As if heating our homes, cooking our food, and transporting loved ones to school, work, and worship were equivalent to narcissism and depravity. 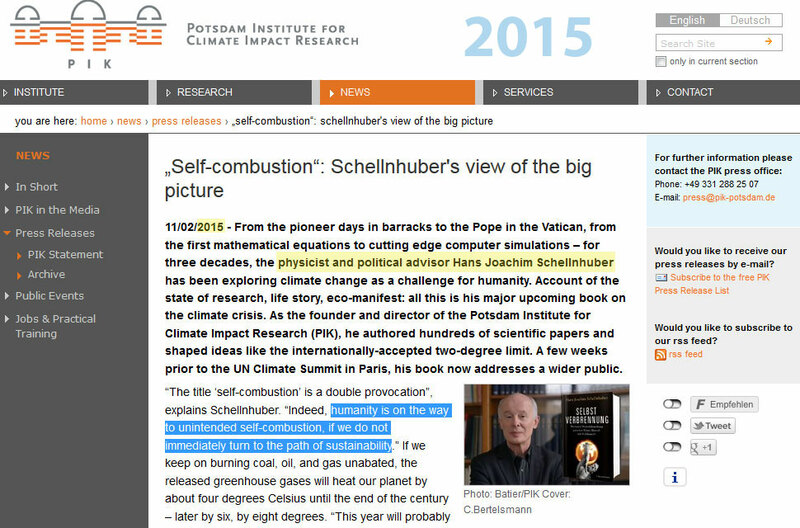 Now activist scientist Hans Joachim Schellnhuber has released a book that insists we’re on track for self-immolation. But the most non-renewable resource of all is time – that finite portion allotted to each of us here on this dazzling blue and green sphere. Life is short. We mustn’t let the doom mongers and drama queens dominate too much of it. 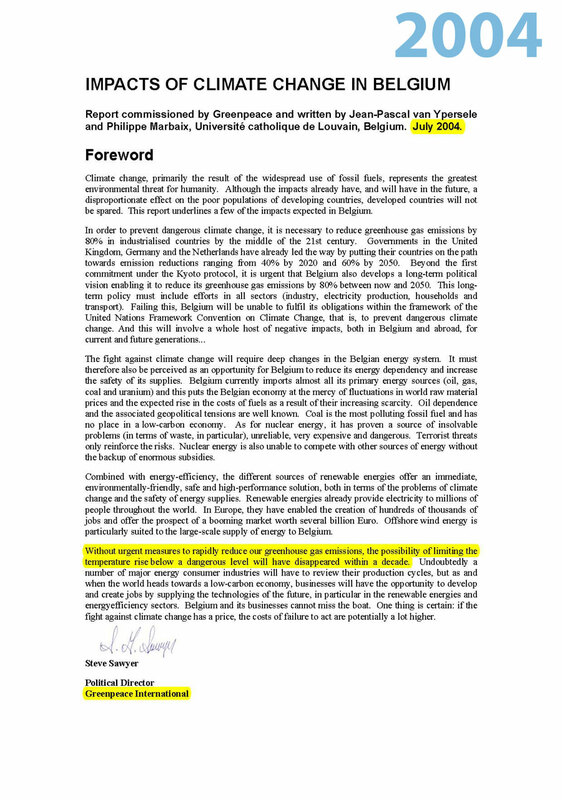 This entry was posted on November 23, 2015 by Donna Laframboise in Al Gore, Bill McKibben, Greenpeace, historical perspective, predictions that failed and tagged al gore, Bill McKibben, Greenpeace, Hans Joachim Schnellnhuber, historical perspective, James Hansen, Paris 2015, predictions that failed, Rajendra Pachauri.